Please select the appropriate radio button below and then click Buy Now. 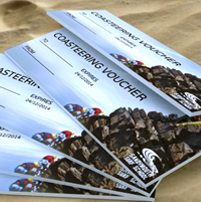 Let our team of instructors take you on an adventure around our exciting coastline. Traverse and scramble along an adventurous coastal route, swim and get sloshed around by the waves as they create natural washing machines, enter watery caves and then take the leap of your life at one of our many controlled jumps spots. The New Sola 7ft and 8ft soft surfboard is an ideal beginner surfboard for kids or adults but can also be a great fun board for the intermediates quiver. 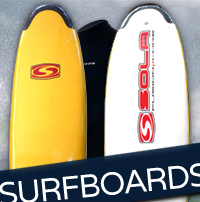 Made with an internal double stringer, a robust foam soft top for comfort and bouyancy, a slick plastic bottom for extra glide and nose and tail protectors to prevent ware and tear. 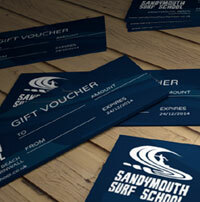 Pick up or delivery to the Bude area only! 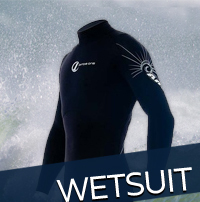 The Arc wetsuit offers 4/3 mm Superlight Neoprene that has been glued and blind stitched throughout. Double lined neoprene with super stretch panels in shoulder, underarm, lumbar, thigh and back of knee regions. It has a revolutionary diagonal back zip, pre bent legs, kevlar reinforced knee pads and a kevlar Reinforced seat pan. 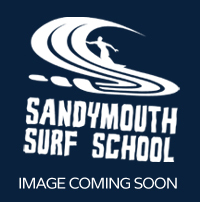 This suit has specifically chosen for use at Sandymouth Surf School. What better way to keep you warm than to slip on one of our stylish toastie hooded sweatshirts in between surfs. They also make great presents!